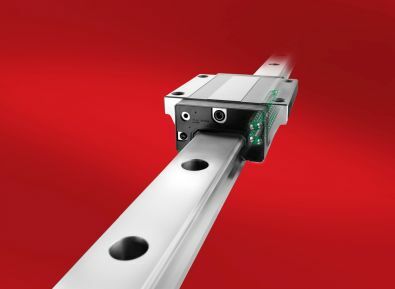 THK is taking major steps to meet the growing worldwide demand for linear motion products. The company recently invested over a half-billion dollars in new brick and mortar facilities that will increase floor space for their global manufacturing operations to just under 10.5 million square feet. In the United States alone, THK has increased the number of components shipped by 30 percent over the last two years, with strategic production increases made to date as they focus worldwide to keep up with a demand for linear motion products that reached a 10-year high in 2017. Orders for linear motion guides, components that enable machine tools to perform precise positioning operations in industries that include aerospace, machine tool, and medical, increased by 31.6 percent in 2017. This figure far surpassed the industry forecast of 8 percent and late in the year supplies began to tighten as demand for these vital manufacturing components exceeded production capacity. THK, the company that first commercialized linear motion technology in 1972, took a strategic look at how to work expeditiously to fill existing orders and to positively address the long-term need to expand manufacturing to satisfy customer orders. Committed to investing in the future, THK is expanding production with a capital investment of over a half-billion dollars at manufacturing facilities in Yamagata, Japan, and in Vietnam and adding a 366,000 square foot facility in India. This will increase THK production by an additional 30 percent once all expansions are fully in place. THK is also automating processes at existing facilities, including at their U.S. manufacturing plant in Ohio. The company has further invested in research and development of its industry-leading LM components as well as in human resources. THK has grown from around 9,000 employees in 2014 to over 13,000 in 2017. THK manufactures the widest range of linear motion products, including LM guides, ball screws, mechanical actuators and ball splines and more.